A Charities Review Council First! It’s hard to believe that with over 69 years of history, hundreds of thousands of donors and nonprofits served, Charities Review Council had never before hosted a fundraising event. Well, on Tuesday, May 12, 2015, dedicated donors, nonprofit leaders, and Council friends joined together to support Charities Review Council’s first-ever fundraising event, Grow the Good. Grow the Good was a short and lively breakfast featuring both a donor and a nonprofit perspective on the value of partnership with Charities Review Council. Our nonprofit partner –Nausheena Hussain, Deputy Director at CAIR-Minnesota (CAIR-MN), and donor partner- Julie Cohen, Director of Communications & Engagement at Pollen Midwest, who shared how a partnership with Charities Review Council helped them build a stronger donor-nonprofit relationship at their organization and with the organizations they support. As nonprofit partners, we meet organizations where they are. With a combination of cloud-based technical assistance, non-judgmental support, and robust resources, we provide a risk-free learning environment where organizations can strengthen their internal policies, practices, and procedures in order to align with widely accepted standards of nonprofit accountability. 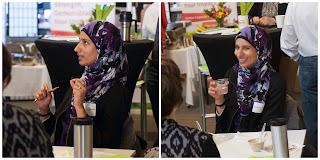 At Grow the Good, Nausheena shared her experience with our online capacity building tool, the Accountability Wizard®, and the positive impact it had on her organization. That’s where we come in! Charities Review Council provides sample policies and guidance so that nonprofit professionals, like Nausheena, don’t have to start from scratch or re-create the wheel. “Charities Review Council was like nonprofit therapy, they helped us help ourselves,” shared Nausheena. Our mission is two-fold. We also support donors by partnering to ensure every precious dollar they give goes to a strong and trustworthy organization. We provide resources and education so donors can feel confident in making informed giving choices. Julie shared how Charities Review Council’s resources, information, and opportunities for giving helped her build stronger relationships with the organizations she supports. More specifically, with YouthLink, a Charities Review Council Meets Standards® organization, that works with homeless youth, ages 16-23. Julie was first introduced to Youthlink at the Council’s Annual Forum 2014: Disruptive Philanthropy. 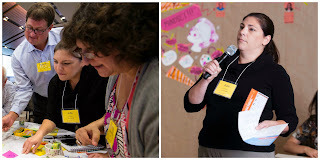 YouthLink was one of five nonprofits that participated in the Council’s first-ever Live-Giving Party, where organizations pitched their big ideas in hopes that attendees would show their support by donating on the spot, that same day! Julie chose YouthLink. A few months later, Julie had the opportunity to expand on her partnership with YouthLink when she received an award that included a financial gift from her employer. When considering where to direct it, she said, “It can feel overwhelming knowing there are so many worthy causes out there to give to.” Julie thought back to the relationship she had formed with YouthLink and knew where she would award her gift. Julie’s story reiterates the importance of continually building new and authentic relationships with donors.